Although it is often thought that Herodotus is a simple author, and that his Histories do not contain many passages requiring textual criticism, closer investigation reveals this view to be inaccurate. 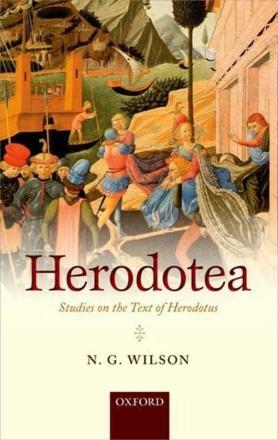 Written to accompany and augment the new Oxford Classical Texts edition of the Histories – which has been substantially revised by Nigel Wilson from the original edition by Danish scholar C. Hude in 1906 – this volume attempts to take account of discussion of numerous passages where there is reason to question whether the text as transmitted in ancient or medieval manuscripts is exactly what the author intended. A wide range of conjectures is represented, and work by scholars whose contributions have been neglected or insufficiently appreciated, in particular J. V. Pingel, H. Richards, and J. E. Powell, is taken into account.